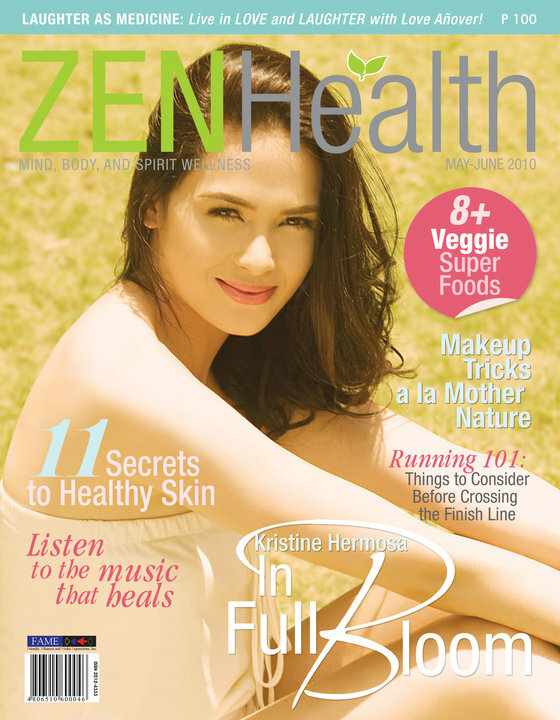 Kristine Hermosa for ZEN Health magazine. Grab a copy now! It was a quick yet an enlightening experience for me to have been part of ZEN Health magazine. (I had to leave the magazine for reasons far too complicated and ma-drama to blog about). Met so many people, learned so many lessons, discovered so many trivial-fun-weird-annoying things about different kinds of quirky personalities and of course discovered more trivial-fun-weird-annoying things about myself. Below is the issue of ZEN Health magazine that means a lot to me (since I really worked hard on this baby upon conception). It's out now and I can't help but be overjoyed by how beautiful it is (come on, look at that wonderfully warm and bright cover)! I invite you all to grab a copy of the magazine, maybe share an insight or two by commenting about the articles especially those I wrote--oh constructive criticisms are always welcome in my life. Summer is such a beautiful season. May is such a wonderful month. Rain is just around the corner (not unless global warming screws up with the supposed change of season in the Philippines). So bask in the last few days of summer. Shine. Bloom. Do both! What do you think of the cover that made it? haha!